Would you consider using an online freelance talent website such as Outsourcely, Freelancer, or Upwork (formerly oDesk)? What kind of talent do you expect on these sites, and what are some best practices and considerations for using freelance employment sites? In this post, I hope to uncover how hiring managers currently view these freelancer websites and determine whether it’s worth it for a company to hire talent through this method. Finally, I’ll give business owners some other things to consider when finding and managing remote team members. In chapter three of Dave Nevogt’s eBook on remote team management, Dave speaks of the importance of outsourcing as a way of getting work off your desk, to allow you to focus your time on more productive tasks or those within your core competency. This involves finding the right people to manage your various business processes so that you don’t have to do it all yourself. Finding the right talent to fill that important role of outsourcing is crucial to business success. Whether you need help in accounting, administrative work, or programming, if you outsource these functions of your business to a freelance professional, you’ll have more time to focus on what you need to do to grow your business. With one in three Americans now working on a freelance basis [in a recent survey by Freelancers Union and Upwork (formerly oDesk)], there’s bound to be some talent waiting to be discovered. Freelancer.com: Headquartered in Australia. Both employers and freelancers pay for an annual membership (free to $199.95/month) or a per project fee, ranging from $3 to 5 percent of the total project cost. The site offers a desktop and mobile application, as well as employee time tracking. Research revealed that there were many unhappy customers complaining about scams, as well as the site’s faulty payment system. Reviewers claimed the site’s talent levels have gone down in the past few years. Currently 14 million registered users. Upwork (formerly oDesk): Upwork (formerly oDesk) boasts more than eight million freelancers on its site, with more than one million businesses using the site to find developers, creative and other experts. It has a freelancer management and payment system, as well as a desktop application for freelancers. Worker data is stored in a work diary on the system, and time is tracked via a time tracking software called Upwork (formerly oDesk) team, which includes random screenshots. Upwork (formerly oDesk) keeps 10 percent of the total transaction. The talent site has many high-profile clients, including Microsoft, Walt Disney and NBC. oDesk and Elance merged in 2014. Outsourcely: Outsourcely was born out of the founders’ frustration of using platforms like Odesk and Elance (now Upwork) and Freelancer for many years. The main frustrations they wanted to solve were the difficulties of finding reliable freelancers, paying high payment processing fees (now even higher) and not being able to hire directly. Outsourcely differentiates itself by allowing employers to hire and pay their remote workers directly. This can save employers thousands in fees the other platforms charge (Upwork now charges up to 20%). The talent on Outsourcely is vetted and is mostly looking for stable long-term remote work, not short-term freelance projects. This is great for employers who are looking to build sustainable working relationships and dedicated remote teams. Plans start at $9 – $99 per month depending on how many candidates you’d like to interview and how many jobs you’d like to post. Outsourcely is also offering all Hubstaff customers a 30% discount. Enter hubstaff30 to get 30% off all plans. 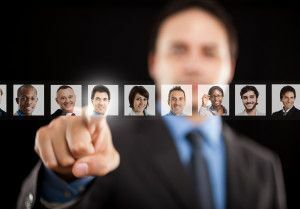 Plan time to screen and select candidates: You may be able to find great employees among the candidates on these freelance sites, but you will also want to spend considerable time reviewing bids and freelancer profiles to find the perfect fit. 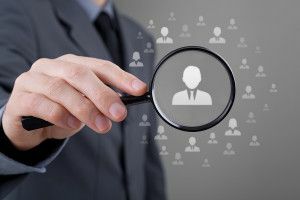 It may make sense initially to do a trial project to see how the process works and determine which type of candidates will work well. If time is of the essence, you may want to consider other hiring avenues. In general, you get what you pay for: While there are many freelance employees around the world who offer quality, professional service at rock-bottom hourly rates, keep in mind that you may regret hiring someone at a low rate just to save a few bucks. More experienced freelancers may charge more per hour, but may be more efficient with their time, require less management or revisions than someone at an entry-level rate. Clearly define expectations: This includes the employee’s hourly rate, role and working relationship, and a blueprint of the project or deliverable. Ideally, you’ll have this information ready to send to your freelancer once the project begins. Provide ways to communicate: Using the freelance site’s built-in project management tools, you can manage your new freelance employee by providing and exchanging detailed project information. You and your freelancer can upload and share documents related to the project, provide feedback or answer questions, and even chat back and forth through the system. Many of the freelance websites offer integration with popular project management applications, so you may find that you just need to connect with one that your company already uses. Track time for a better picture: To truly know how your freelancer works, and to see up-to-date progress, requires your freelancer to install and use a time tracking software like Hubstaff to supplement the freelance site’s time tracking software. This app will accurately record time your freelancer spent working on your project, as well as capture random screenshots throughout the course of the day. Time tracking provides accountability as well as visibility to improve your processes and outcomes. Hiring freelance talent through a freelance talent website might be worth your time if you lack the internal resources or connections to find talent through other tried-and-true methods. If you are willing to spend some time reviewing the freelancer websites to find the right fit, and take care when selecting and managing your freelancer, you will have a greater chance for success.